With a few exceptions, until the early 1950s, the only color offered for a new home appliance was a standard white finish. Then, seven pastel shades were introduced; stratford yellow, sherwood green, cadet blue, turquoise, woodtone brown, petal pink and canary yellow. By 1960, three of these shades -canary yellow, turquoise and petal pink- had been established as the standard finishes. This meant that one could have a color-coordinated kitchen, for an extra fee. Of course, you could still get a white washer, dryer, dishwasher, stove or refrigerator and not have to pay extra. 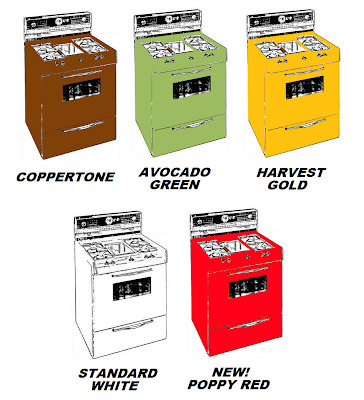 By the early 1970s, the original pastel home appliance colors had been phased out. 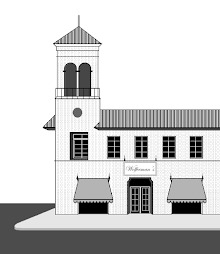 The latest home appliances -on sale at the local shopping mall Sears, Penney's or Ward's- would be available in the colors seen above. The Coppertone finish, in stores by 1961, was the first of the new 1960s colors. Avocado Green and Harvest Gold followed, in 1965. 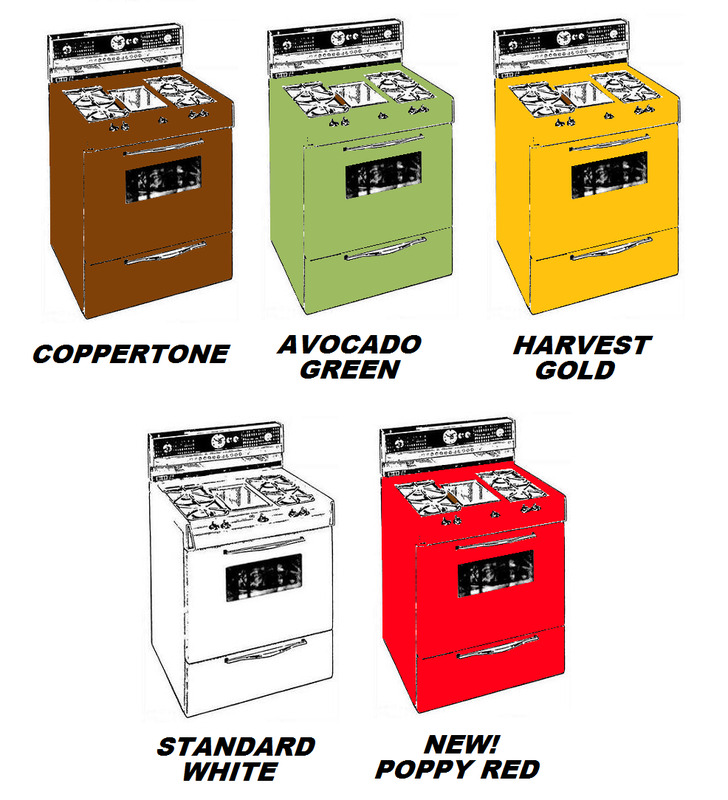 These three shades remained in vogue until new appliance colors -such as almond and onyx- were introduced in 1977.